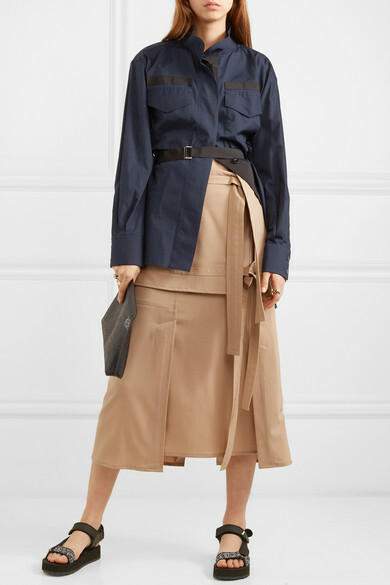 Sacai continues to play with deconstruction for Spring '19. 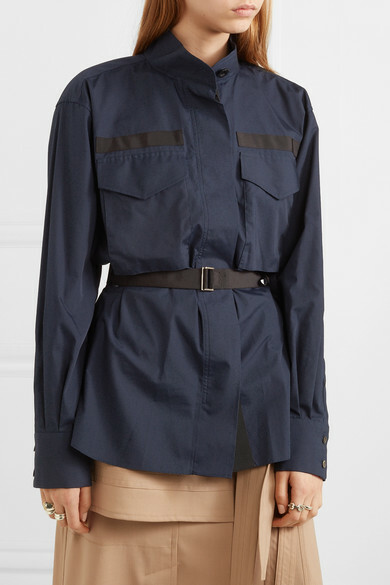 Made in Japan from crisp navy poplin, this shirt is designed with classic military details such as flap pockets but turns to reveal an unexpected open back. 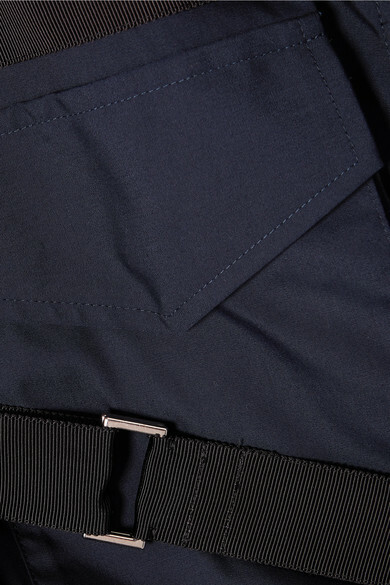 It's long enough to wear over bicycle shorts - choose black ones to match the grosgrain belt and ties.